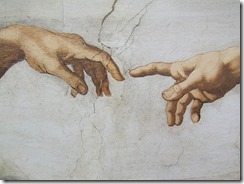 Angular and ASP.NET Web API are like chocolate and peanut butter, they are GREAT together! But there are lots of intricacies and many, many things that can go wrong when putting these two technologies together. This problem solver covers some of the most common things that can go wrong and how to fix them. Using Angular as the client technology in the front-end and an ASP.NET Web API service in the back-end is a common requirement. So much so, that I developed a Pluralsight course to help developers tackle all of the touch points between an Angular client application and a back-end ASP.NET Web API service: Angular Front to Back with Web API. 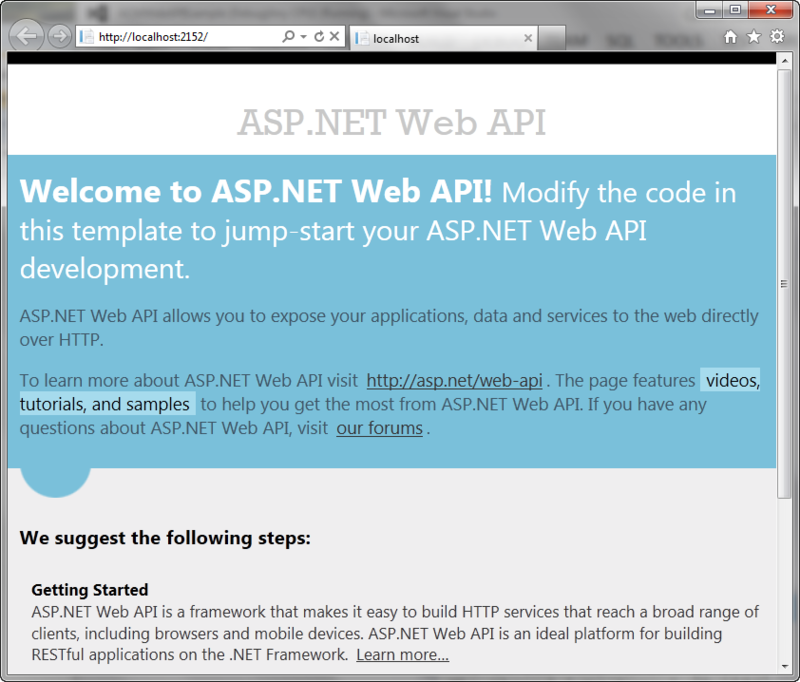 When the Angular code calls the ASP.NET Web API, it will work in Internet Explorer but *not* in Chrome. In Chrome, pressing the F12 tools will show the error: No “Access-Control-Allow-Origin” header is present, Status Code: 500 Internal Server Error. The solution to this problem is CORS, or cross-origin resource sharing. Wikipedia states that CORS “allows many resources … on a web page to be requested from another domain outside the domain from which the resource originated.” In other words, CORS defines a way that a service can interact safely with a browser application that originates on a different domain or different server. 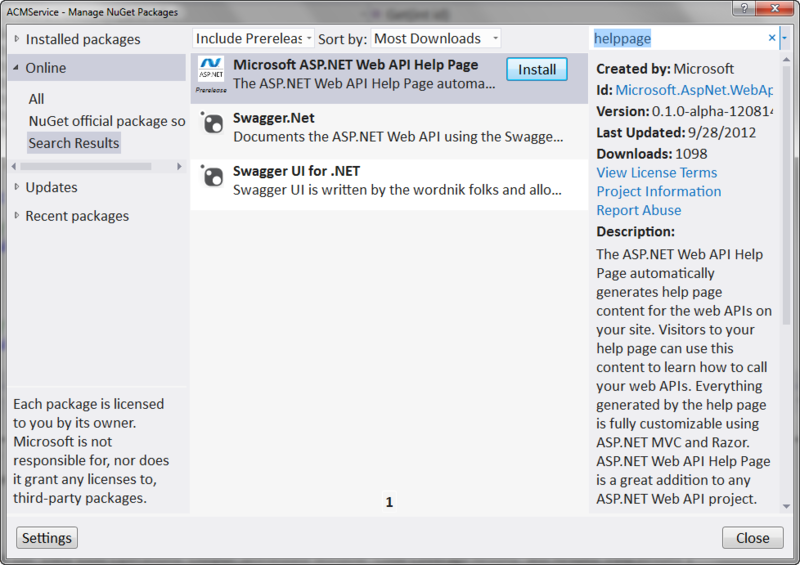 To enable CORS in the ASP.NET Web API, start by downloading the CORS package using NuGet Package Manager. 1) Call the EnableCors method. Note that the port shown in red is the port for the Angular application. This code tells the PrioductsController class that it should allow cross-origin requests only from the defined location, which is from our Angular client application. Alternatively, use “*” to allow access from any cross-origin request. 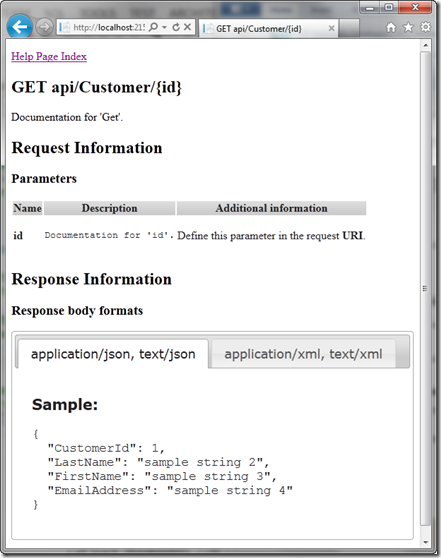 These steps are covered in detail in module 4 (CORS and Formatters) clip 3 (Enabling CORS in a Web API service). This issue appears in Module 6 (Using OData Queries) and often takes the form of a problem with the contains method of the OData $filter. This problem is due to confusion on the multiple OData packages that are available in Visual Studio. The course requires version 4 of OData, so be sure to select the NuGet package that says “OData v4.0” in the description. NOTE: There are many similarly named NuGet packages, such as “Microsoft.Data.OData” and “Microsoft.AspNet.WebApi.OData”. Be sure to select the one shown below. This issue appears in module 10 (User Registration and Login). It often only occurs in Chrome (not IE). 1) There is one line of code that is missing from the demo in the course. 2) There is one line of code added during the demo, but is sometimes missed when coding along. Where the defined URL shown in red is the location of the Angular application that this code is granting access to. This code is explained and demoed in module 10 (User Registration and Login) clip 4 (Logging the User In) starting around 9:32 with showing the error and the line of code is added at 10:13. Please let me know if you have run into anything else that should be added to this list. Last week, I deployed (to test) my first "real" ASP.NET Web API service with a JQuery / ASP.NET client. The deployment ran into some minor difficulties, but no major issues. At least not until the testers decided to run it with IE 8. Then it was one thing after another after another. I thought it would be useful to document all of the issues that we ran into for future reference. Where "OnlinePayment" was the subdirectory name. When running from localhost, there really is no concept of a subdirectory. So "it worked fine from my machine". But when the testers tried the first version of the test deployment, the Web API call kept returning "Not Found". 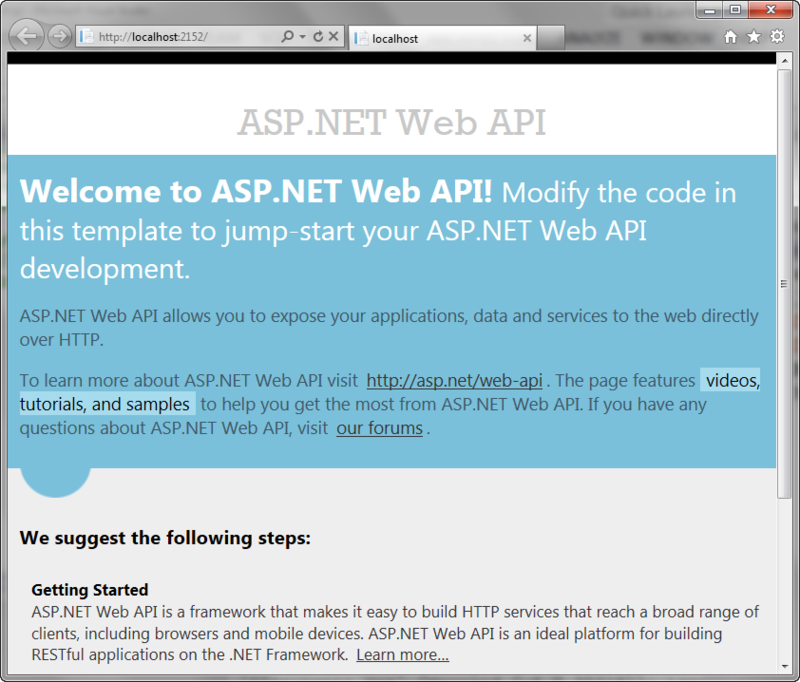 If I added the subdirectory to the path on the Web API call, then I could no longer run the application from localhost. This code retrieves the current URL. If the current URL contains the subdirectory name, then it appends the subdirectory name to the url used in the Web API call. After getting the subdirectory code in place, our next error was "Internal Error". We were able to use the F12 tools to determine more specifically what the "internal error" was. It turned out that the code needed the domain services dlls! I assume this is because our business objects are shared with our Silverlight project which uses Domain Services. I had to set a reference to the two files so they would be included with the deployment. That did it! We finally have our page loading on the test server! NOTE: As soon as we included these domain service DLLs, our deployment suddenly included separate folders for each language … really slowing down our deployment process. Then it was time to deal with IE8. The page would not even load with the tester’s IE 8. Bummer! On IE 10 (and any other browser/device they tried) the page worked. But not in IE 8. The error was "’JSON’ is undefined. jquery-2.0.3.js Line: 349. Well, that still didn’t work. Seems I needed them in order? OK, that got us a little further. But then IE 8 displayed "Object does not support this property or method" line 834. Alas, why didn’t I know (or maybe nuget could have told me?) that jQuery 2+ does not support IE 6, 7 or 8? So spent a bit of time uninstalling the nuget packages I had for jQuery. Then I found out that I could not install an older version from nuget. That seemed odd. And we got the page to come up! But as jquery code was executed, IE 8 threw another error. Remember this line from the code above that we added to handle the subdirectory? Still … no go on IE 8. This time it is a problem with the validation … I’m using jquery-validate. One of these days I need to set up some VM’s so I have a test system with IE 8. In the mean time, with the help of some very smart MVPs, I found that I could use the F12 tools to emulate IE 8 with IE 10. If I set IE 8 Quirks, I could see the same error that the testers were seeing. If I set to IE 8 Standard, the page would come up. That was better! The validation would work, even on IE 8. The page worked in all cases, except on IE 8 when there was a message returned from the service. The message would not appear on the page in IE 8. After a SIGNIFICANT amount of work … it turned out to be nothing wrong with the service or the message or the jQuery. In IE 8 *only*, it could not find the paymentAmountMessage element. By replacing the two div tags with two separate rows, the code now appears to work in IE8. Hope you have had better luck! The virtues of a Web API Help Page were extolled in a prior post. 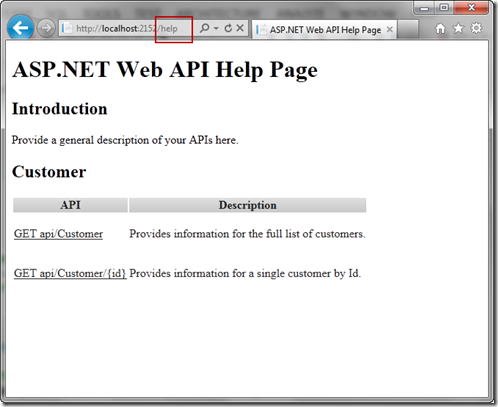 That prior post demonstrated the "out of the box" functionality of the Microsoft ASP.NET Web API Help Page. This post extends that functionality to include the XML comments from your code. You can adjust the configuration file for the Help Page to set the documentation provider to your code’s XML comments. 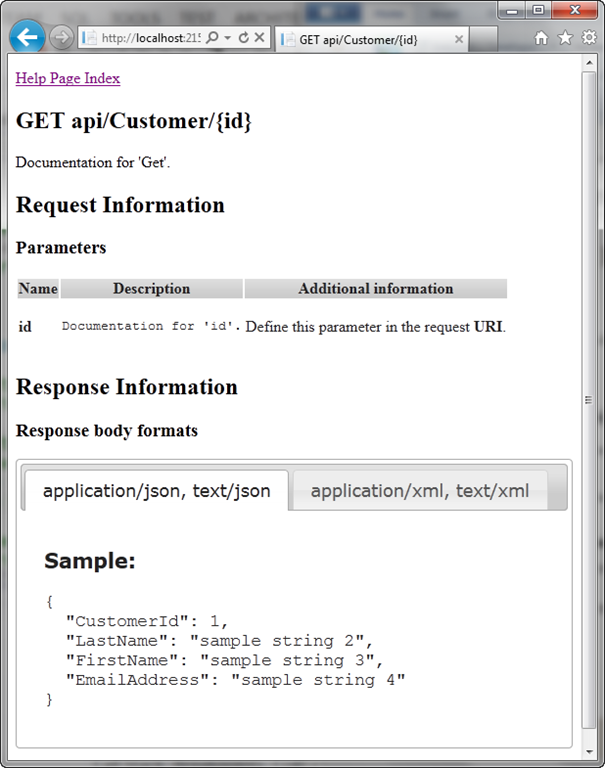 That way your help file documentation will match the XML comments from your code. /// Provides information for the full list of customers. /// Provides information for a single customer by Id. ReasonPhrase = "Customer Id not found"
”’ Provides information for the full list of customers. ”’ Provides information for a single customer by Id. .ReasonPhrase = "Customer Id not found"
2) Modify the HelpPageConfig file. 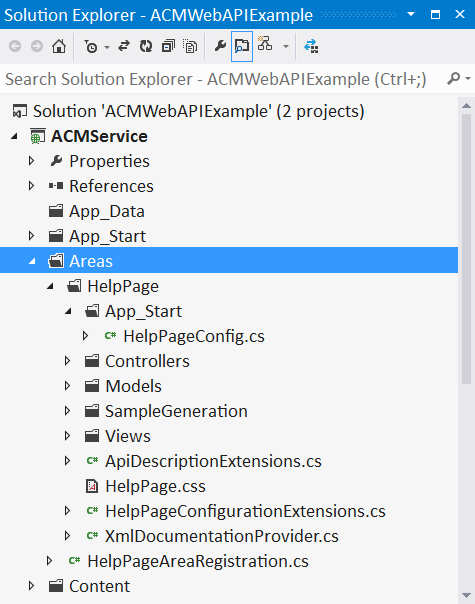 Find it in Solution Explorer under your Web API project, Areas / HelpPage / App_Start folder. 3) Uncomment the code line provided in the HelpPageConfig file to set the documentation provider to the XML document generated from your Web API code. 4) Ensure that your build generates the required XML file. 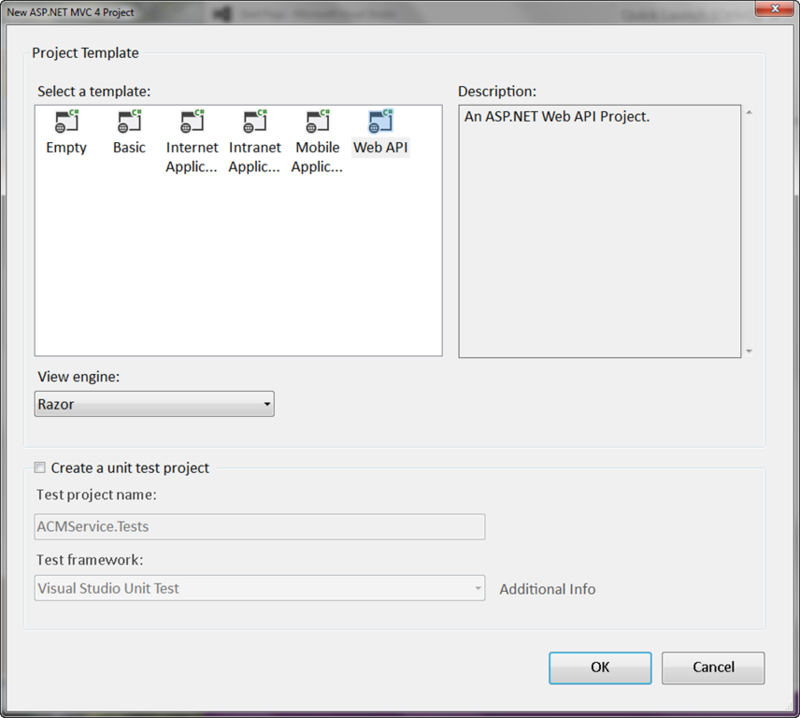 6) Execute the Web API project in Visual Studio and append "/help" to the address bar of the browser. Notice that the description is now taken from your XML comments. Use these extra steps any time you want to use your Web API XML comments in your help pages. If your ASP.NET Web API service is on the ‘net and no one is around to explain it, does it provide a service? Unlike no one hearing the tree falling in the woods, this question is more than a philosophical thought experiment. It could be a big issue for the clients needing your service. Once you have a Web API service in place, clients can call it. But there is no easy way for those clients to discover the available service methods or their parameters. What they need is a way to view your API. That’s where the Help Page comes in to help you help them. 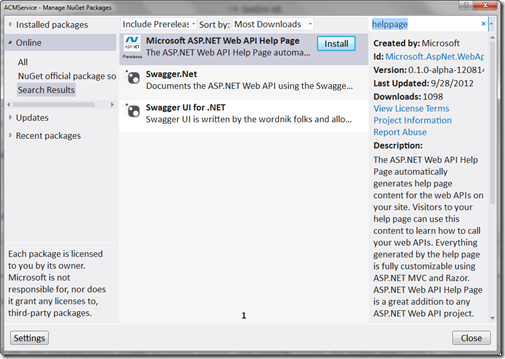 As it states in the dialog below, "The ASP.NET Web API Help Page automatically generates help page content for the Web APIs on your site." 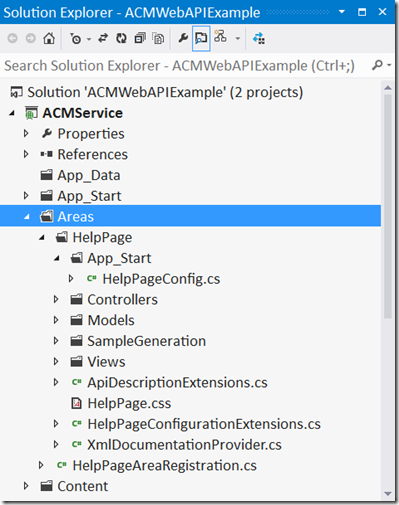 1) Select your Web API service project in Solution Explorer. 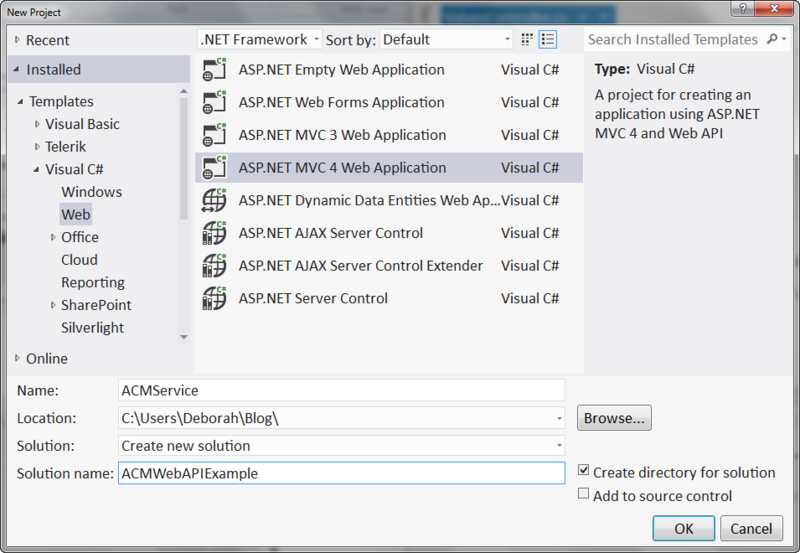 2) Select Project | Manage NuGet Packages from the Visual Studio menu. 3) Search for "helppage" using the search box in the upper right corner of the resulting dialog. 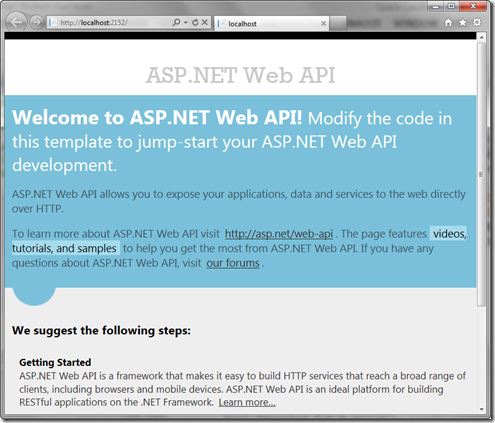 4) Click the Install button next to the Microsoft ASP.NET Web API Help Page. That’s it. After you install it you don’t have to do anything else. 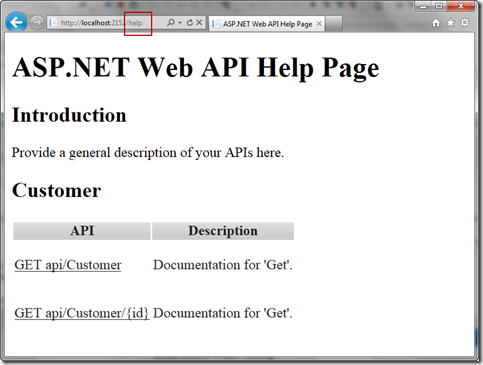 To view the generated help page, launch your Web API service in Visual Studio and append "/help" to the url in the Address bar of the browser. The generated help page is displayed. 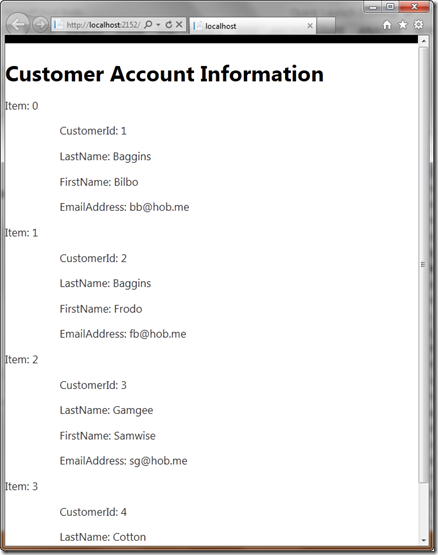 Notice that it contains the name of the controller and descriptions of the two methods in the Web API service. Click on an action name to drill down. The details provide information on the parameters, if any, and the response body formats. It even contains an example response. Since all of the code for these help pages are generated into your project, you can easily change them. You can style the layout and change the textual content as desired. 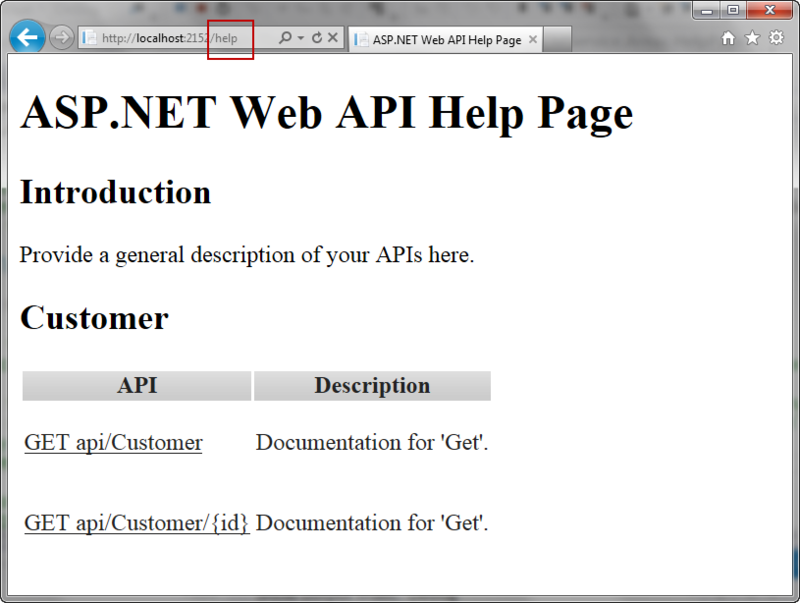 Use the Help Page NuGet package any time you want to provide documentation to the clients of your Web API service. 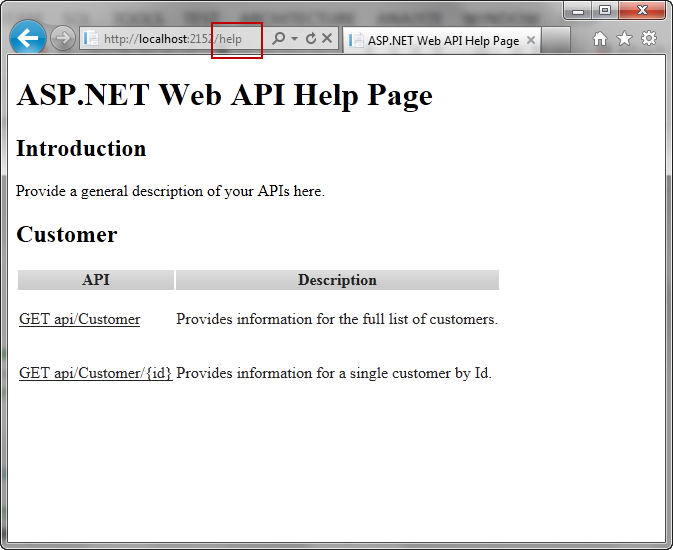 There is nothing perfect in life, not even an ASP.NET Web API service. The service may not understand the provided parameters, or may not find the requested data, or may have trouble connecting to the database. Whatever the issue, if the service cannot return the desired data it would be nice to instead return an appropriate exception notification. The following code is the ASP.NET Web API service controller from the example mentioned above, but with a simple exception. 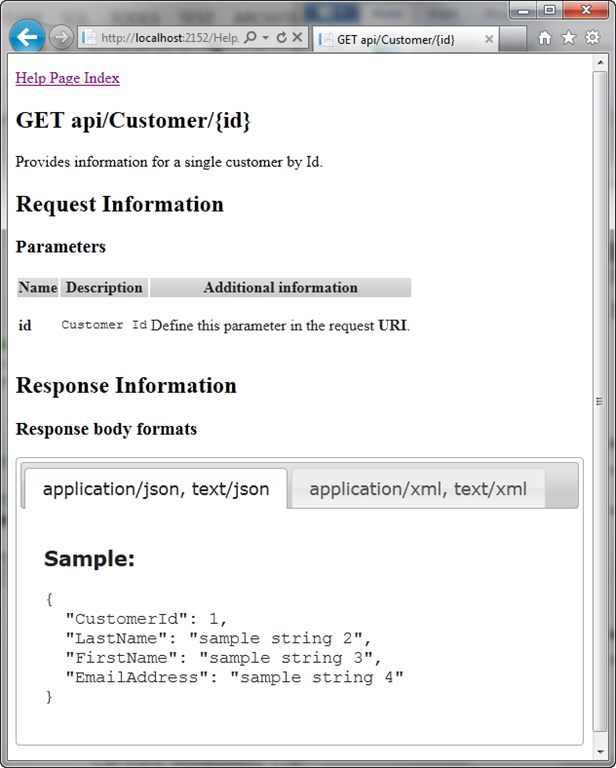 Then add to the address bar the following: api/customer/10 (api/customerVB/10 in the VB example). The F12 window displays the request with a result of 500: Internal Server Error. When an exception is thrown in a Web API controller, by default the response is returned with a status code of 500. Select the request and click the Go to detailed view button to see the details. 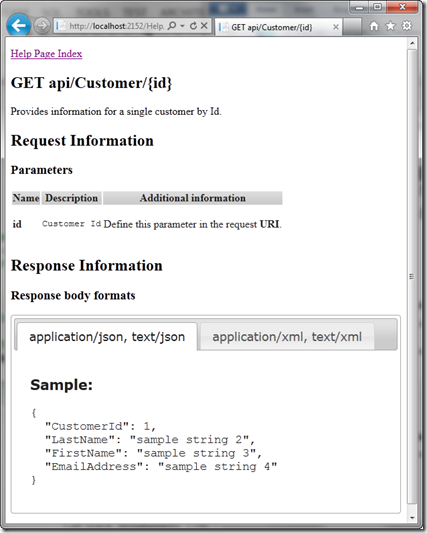 Click on the Response body tab to see the error message as a JSON string. Notice that it provides the full stack trace. This can be helpful when debugging the application, but may provide more information than you want to share when your service goes live. As an alternative, you could use the provided HttpResponseException. By default, this has a header but no content. And instead of always returning a 500 status code, it returns the code you specify. 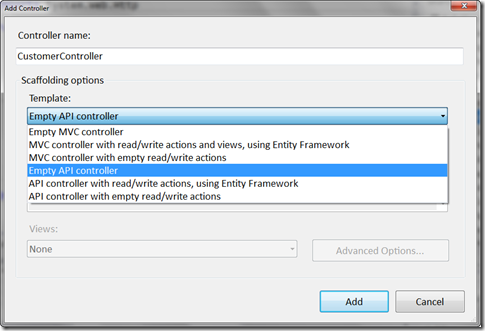 Change the exception thrown in the example above to instead throw a new HttpResponseException. Notice that the Result is now a 404: Not found. Looking at the detail, there is no body to display. But what if you do want to provide more information, such as a more detailed message? The HttpResponseException provides properties that allow you to specify more information. The Content property allows you to provide a response body. The ReasonPhrase property is a textual description of the status code. You can add any text you would like, such as "Customer Id not found". This may be more useful to the client applications than getting a 404. Change the exception in the prior example as shown below. Content = new StringContent("Could not locate a customer with id: "
Repeating the F12 process one more time… Notice that the Response Body now includes the information provided in the Content property. Use the HttpResponseException whenever you want to control the exception information passed to your ASP.NET Web service clients. Internet Explorer 9 allows you to see the HTTP request and response information using the F12 developer tools. This can be useful when debugging or testing your ASP.NET Web API service. 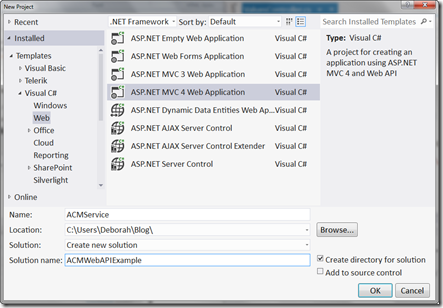 Start your Web API Service in Visual Studio, viewing it in Internet Explorer 9. 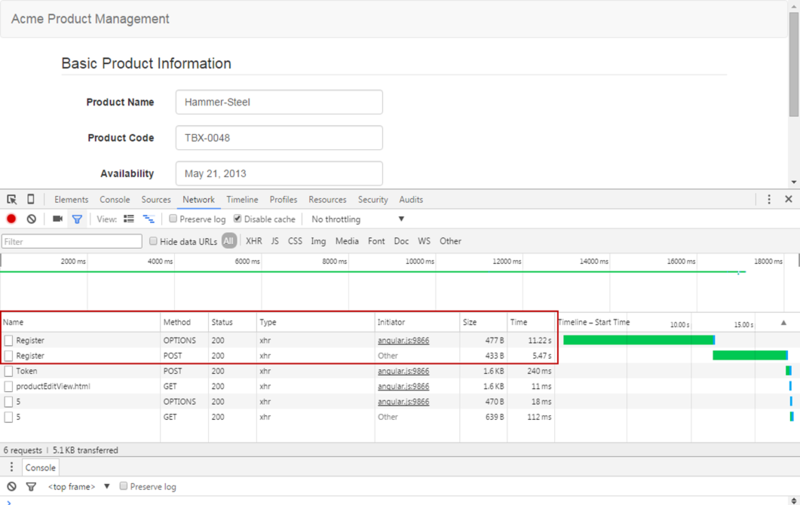 Select the Network tab and click the Start Capturing button to start capturing the HTTP request and response information. Then select the browser window and add "api/customer" (or "api/customerVB" for the VB service) to the address bar. Cancel the request to open or save the result. Use the F12 tool whenever you need to debug or test your Web API service or any client calling your Web API service. This post demonstrates how to use the ASP.NET Web API to access plain old custom objects (POCO) and build a service for a line of business application. No Entity Framework (EF). The Web API is a new easy-to-use framework that allows you to build a service that can send or receive data over HTTP to a range of clients. If this sounds something like Windows Communication Foundation (WCF), you are right. But this new framework is MUCH easier to use and provides content that is much easier to consume by client applications. The example in this post is as absolutely simple as possible to help you get up and running with these technologies. To meet this goal, this first post covers how to build a service that only provides data. Later posts will cover building clients to get the data, and updating the service for insert and update operations. 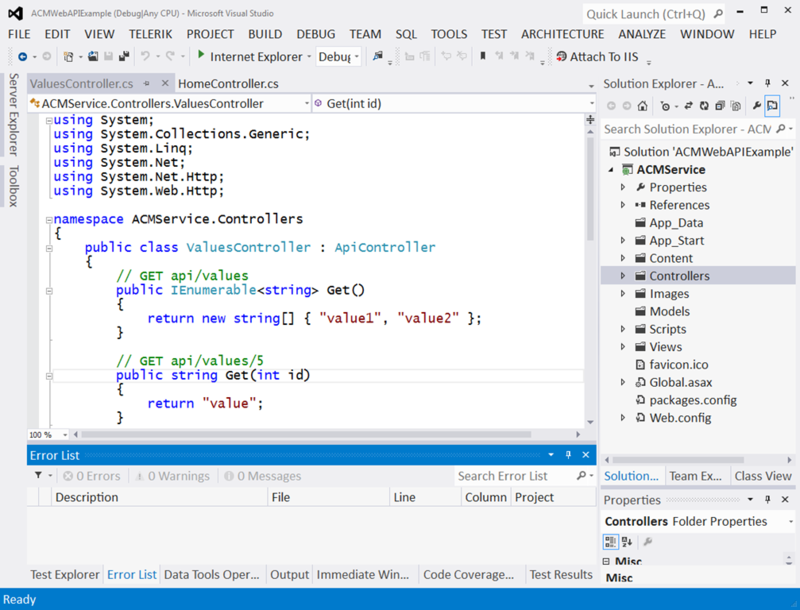 If you are using Visual Studio 2012 you are ready. If you are using Visual Studio 2010, download and install ASP.NET MVC 4 for Visual Studio 2010 SP1 and Visual Web Developer 2010 SP1. Since Visual Studio 2012 is now officially released, the screen shots in this post are all of the Visual Studio 2012 tools. 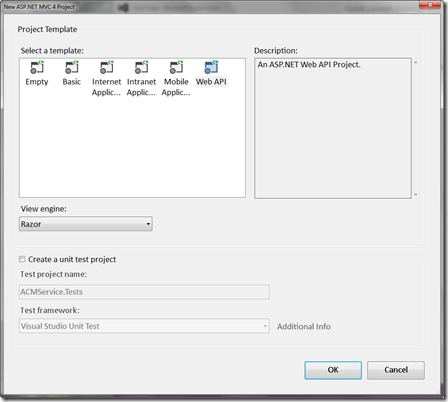 STEP 1: Create the Web API project. 2) Select the ASP.NET MVC 4 Web Application under the Visual Basic or Visual C# templates and click OK.
3) Select Web API as the project template and click OK. 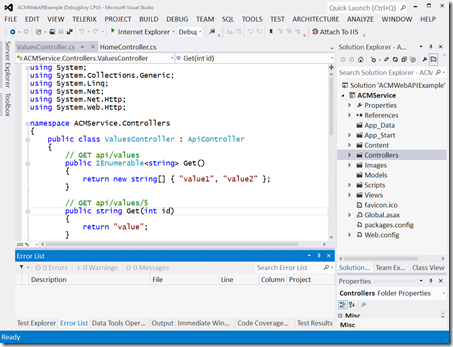 Visual Studio creates all of the files you need to get started with your Web API service. So the default pre-built service returns two values in JSON format called "value1" and "value2". Yes, well it is a start. The key parts of code required for a Web API service are the Models and the Controllers. The Models provide the content for your service. They define which data or other content that your service will expose to client applications. For example, for the Acme Customer Management application, the models could include Customer, Purchase, and Invoice. These would expose basic customer information, customer purchasing information, and customer invoice information. No models are created for you in this case. They are created manually as defined in the next step. The Controllers basically control your service. They define the actions that your service accepts and performs the response appropriate for the requested action. For example the Acme Customer Management application would provide a Get action that would return the list of all of the customers and a Get action with a key that would provide information for a specific customer. Two controllers are created in the generated code. The HomeController is a MVC controller which controls the generated sample user interface. The ValueController is the sample Web API controller that provided the two values shown in the screen shot above. You can delete it. The service is this example provides customer information. That information is defined in the model with a Customer class. 1) Right-click on the Models folder in Solution Explorer and select Add | Class. 2) Add the code for a Customer class. /// Retrieves a list of customers. /// the data from a database. ”’ Retrieves a list of customers. ”’ the data from a database. NOTE: This code does not use a data access layer at this time. To keep this example as simple as possible, the Retrieve method "mocks" a retrieve that would call your data access component and retrieve the data from the database. This code will be replaced in a later post to actually access a database. NOTE: Normally I build a Customer class (singular) with the properties and methods that mange a singe customer and a Customers class (plural) that works with a list of those customers. The functionality for both were added to one class to keep this example as simple as possible. The controller in this example provides two operations: one to get all customers, and one to get one customer by Id. 1) Right-click on the Controllers folder in Solution Explorer and select Add | Controller. Visual Studio provides several scaffolding options, which define the type of code that it will automatically generate in the controller. 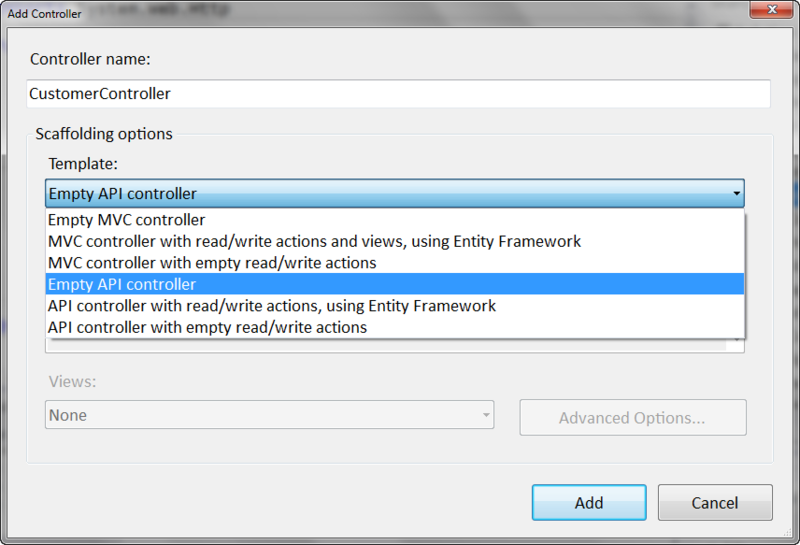 To keep this example simple, it will only provide read actions, so select Empty API Controller. 3) Write the code for the controller. The controller class inherits from ApiController. 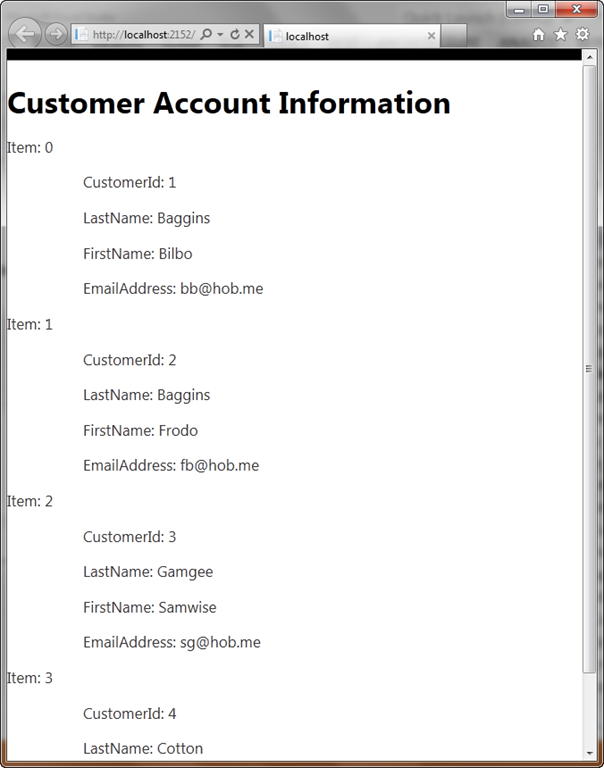 This ensures that the service understands that this is a Web API controller class. Both functions are named "Get". Note that in VB, "Get" is a keyword so it needs brackets around it to use it as a function name. But you could change the name to something more specific like GetCustomer. NOTE: This is not the most efficient approach to retrieve one customer. You would instead want to get the one requested customer from the database. Now when you run the application, the same Welcome page appears because we have not changed the UI. And since we are building a service, we could actually remove the default UI. 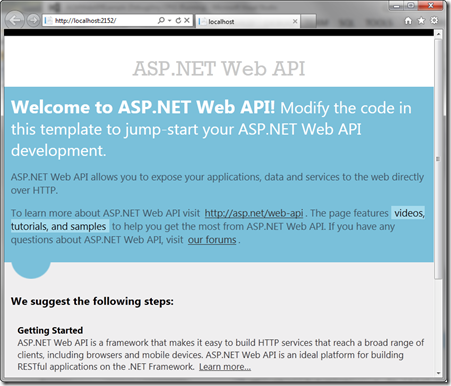 Use this basic set of steps as a starting point for building your Web API service.